Granlibakken Tahoe is proud to be the recipient of a 2015 Best in the Basin Award. This award recognizes businesses and organizations that have worked to make a positive environmental impact in the Lake Tahoe Basin. We are so proud to have been recognized as a green hotel in Tahoe. 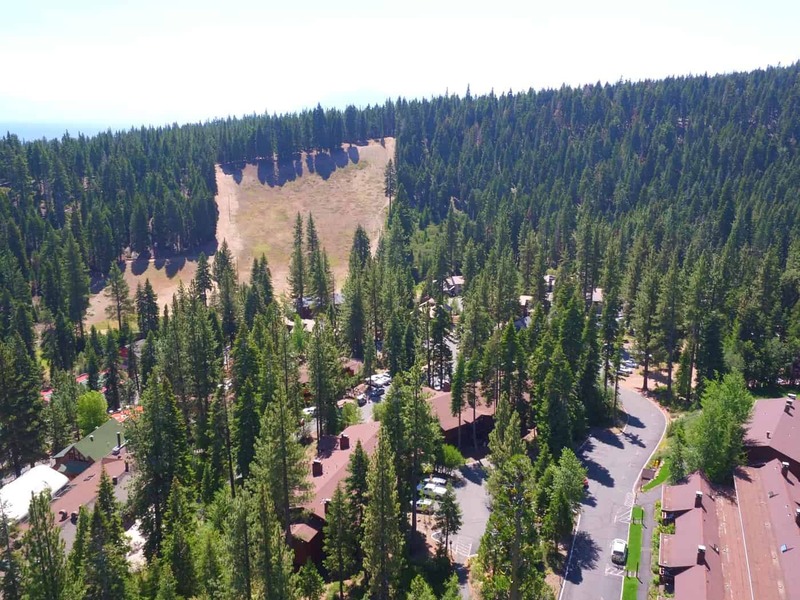 Granlibakken Tahoe was awarded for its efforts in becoming a more green hotel in conjunction with the Sierra Business Council, Placer County, and the Department of Energy's mPOWER project to upgrade outdated appliances and systems with new, energy-efficient equipment. In 2015, Granlibakken replaced the HVAC system for the conference center with a new, energy efficient system that has projected savings of $43,000 and will reduce energy costs by 44%. Granlibakken Tahoe has also implemented a program to replace all kitchen appliances with new energy-star rated appliances. Granlibakken has also implemented in-house programs to encourage guests and staff to be more environmentally friendly. Granlibakken banned the use of Styrofoam containers in 2012, and uses exclusively biodegradable take-out containers, flatware, and disposable cups for guests. Granlibakken also has implemented a linen program as part of its goal to become a more environmentally friendly resort, encouraging guests to reuse their towels and linens rather than washing after each use. Additionally, Granlibakken works with North Lake Tahoe Express to provide shared airport transportation from the Reno-Tahoe International Airport, and works with West Shore Sports to provide bicycles to guests during the summer months. By offering an airport shuttle and alternative ways of transportation, Granlibakken Tahoe hopes to reduce traffic impact and pollution in the Lake Tahoe region. It is important in the hotel industry to educate guests to encourage them to engage in "green" practices, and Granlibakken has worked on including more literature about environmental initiatives, including drinking Tahoe tap as well as other water conservation measures, in its dialogue with guests. Granlibakken Tahoe has also worked to protect Lake Tahoe and the surrounding region through its internal policies. Granlibakken has worked to implement native and drought-resistant landscaping, which does not consume as much water as other types of landscaping. Granlibakken has also partnered with the National Forest Service to thin the woods in the 74 acre valley in which the resort is located, significantly reducing the threat of forest fires at Granlibakken and in the surrounding Tahoe City area. Granlibakken Tahoe is so proud to be a recipient of a Best in the Basin Award for being an eco-friendly Lake Tahoe hotel. Read more about our environmental efforts here.